When you’re suffering from tooth loss, dentures are the ideal prosthetic solution to restore your smile, quality of life, and oral health. False teeth are an affordable option that allows you to quickly and easily fill the space of missing teeth. 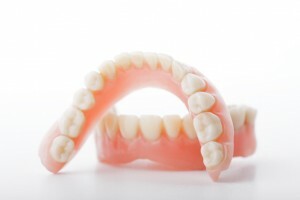 However, in some cases, you may need pre-prosthetic surgery prior to receiving your false teeth. To ensure the best fit, comfort and appearance, you may need a couple of procedures conducted before you have your final set of replacement teeth. At Piney Point Oral and Maxillofacial Surgery, we will fully evaluate your oral health prior to receiving your replacement teeth to determine if there are any procedures that need to be performed beforehand. In some cases of missing teeth, minor oral surgery procedures are needed to receive a full or partial prosthesis. These procedures are needed to ensure there is a comfortable, secure fit to resolve slipping and discomfort. Since the prosthesis sit on the ridge of bone, the bone must be the proper shape and size. If a tooth has been extracted, the underlying bone may feature size and shape abnormalities. These abnormalities will need to be corrected to ensure a comfortable fit prior to inserting the denture. Bone Smoothing and Reshaping—Known as alveoloplasty, this procedure is used to smooth and reshape the jawbone in areas when teeth have been lost or extracted. This will minimize complications associated with insertion, stability, retention, and comfort. Removal of Excess Bone—Some patients will have areas of extra bone growth that can impact the fit and comfort of the false teeth. These areas will be removed, such as around the lower ridge next to the tongue, roof of the mouth, or near the lips and cheek. The removal of the bone will create a more secure seal to decrease slipping. Bone Ridge Reduction—To ensure a proper fit, bone ridge reduction may be needed to refine the bone ridge. By sizing and shaping the ridge, the false teeth will fit evenly, causing less discomfort and a more secure fit. Removal of Excess Gum Tissue—When dentures have been worn for a long period of time or no longer fit correctly, folds of gum tissue can develop. The folds and excess gum will need to be removed with our CO2 laser prior to being fitted for a new set of false teeth. Exposure of Impacted Teeth—Wisdom teeth aren’t the only teeth that can become impacted. Other teeth may be impacted as well when they don’t erupt normally. Impacted teeth will need to be removed prior to getting new replacement teeth to ensure the arch fits securely and comfortably. Piney Point Oral and Maxillofacial Surgery will conduct a thorough analysis of your oral health prior to being fitted for dentures. If pre-prosthetic surgery is needed, we will perform the surgery you need to deliver precise results for comfortable, custom-fitting dentures. If you’re in need of false teeth, contact our office at (832) 924-3799 to schedule a consultation. by: Dr. Steve Koo at March 21, 2016 .